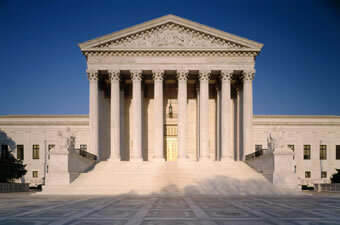 On November 8, 2011, the U.S. Supreme Court heard oral arguments in the case of United States v. Antoine Jones (No. 10-1259), which examines the constitutional privacy rights of American citizens in the face of modern tracking systems based on GPS and other technologies. The case has raised concerns among privacy groups about the warrantless use of GPS to track the movement of citizens for extended periods of time. Conversely, the Department of Justice contends that using GPS to track a vehicle on public roads provides no more information than what police could obtain through visual surveillance. In September 2005, the FBI and District of Columbia (D.C.) police attached a hidden GPS device to the vehicle of suspected drug dealer Antoine Jones in a public parking lot. The device recorded and transmitted the vehicle's movements for 28 days. The tracking data showed Jones made frequent visits to a suspected stash house. Jones was ultimately charged with conspiring to distribute narcotics. Jones filed a motion to exclude the GPS data at trial. The police had obtained a federal warrant to install the tracking device on Jones's vehicle in D.C. within 10 days, but they installed it in Maryland, a day after the warrant expired. The U.S. District Court for the District of Columbia admitted into evidence the GPS data collected while Jones's car was on public streets, but suppressed data from inside his garage. Jones was convicted of conspiracy to distribute cocaine and is now serving a life sentence. The Department of Justice petitioned the Supreme Court to review the case, which was accepted on June 27, 2011. A number of other federal and state courts across the nation have ruled on the use of GPS-based vehicle surveillance by law enforcement. Some of these rulings are in conflict with the current Jones ruling and with each other. The Supreme Court case should provide clarity on the basic issues and set precedents for future court rulings. Dec 2011: The U.S. District Court for the Eastern District of Missouri issued a pre-trial recommendation saying the use of a GPS device to track a suspect's vehicle on public roads was not a "search" and did not violate his Fourth Amendment rights. This case has not yet gone to trial. Nov 2011: The New York State Supreme Court, Appellate Division, ruled that the use of GPS devices to track a government employee's private vehicle during an internal misconduct investigation did not constitute an illegal search and seizure under the state constitution. Jul 2011: The Superior Court of New Jersey, Appellate Division, upheld a ruling that the use of a GPS device to track a spouse's vehicle on public roads did not constitute an invasion of privacy. The GPS satellites operated by the U.S. Air Force cannot track you or anything on the ground. They are simply beacons, like lighthouses, that help GPS devices figure out where they are. In the case of tracking devices, the location data is stored in a file and/or transmitted via wireless communications. GPS satellites play no role whatsoever in the storage or transmission of personal location information. In June 2011, Sen. Ron Wyden and Rep. Jason Chaffetz introduced the Geolocation Privacy and Surveillance Act, or "GPS Act." If passed by Congress, the bill would provide clearer guidelines for when and how personal geolocation information can be accessed and used. Please note that GPS.gov is operated by the executive branch of the U.S. government, which is separate from the judicial and legislative branches. We published this story for informational purposes only, not to influence any ongoing judicial or legislative processes.